Beady Eye are pleased to confirm they will support The Stone Roses at their forthcoming gig in Heaton Park, Manchester on Saturday 30th June. The legendary Manchester band - comprised of Ian Brown, John Squire, Mani and Reni - are set to play three sold out shows in their hometown this summer. All three nights sold out in a little over an hour - a total of 220,000 tickets - when they went on sale in October of last year. The Heaton Park gigs are part of The Stone Roses' summer tour which marks their first live shows since 1996. For more information check out their official website. 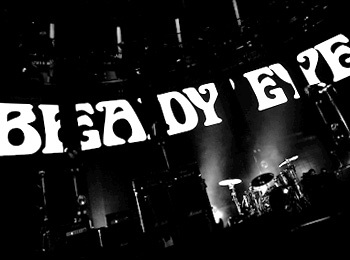 Beady Eye's gig at Heaton Park is their only confirmed UK performance for 2012.